Dancing is one of the most beautiful and difficult performing art is for which you need to undertake rigorous training from a very young age. Simply training might teach you the basics but to be a really great dancer, you need to have it in you. That is it is a God given talent and if you are gifted, then it’s a good way to not only release one’s stress and mental strain, but also to maintain a good body shape as dancing is a great way to exercise. There are different types of dancing around the world and in India itself you would find dancing divided into categories like classical dance and folk dance. Today the new trend of cinematic dance is very popular, especially those danced to the hit film songs of Bollywood. Dancing is an art that you can make a career of quite easily provided you have the talent as well as the training for it. Taking up folk dancing as a career gives you the opportunity to showcase to the world the beautiful and rhythmic folk dances of Gujarat which is the Garba, of Punjab which is Bhangra and Gidd, and other dances like the Santhal dance, the Snake dance, the fisher folk dance, and dances belonging to the lesser known interior regions of India. Whatever dance you specialize in, the need to be well trained is of great importance. If you are trained in Classical dance, there is a large scale opportunity as freelancers and as performers in events, both private and nationally acclaimed events like the National festival celebrations. Classical dancing is categorized into Kathakali in Kerala, Bharata Natyam which originated in Tamil Nadu, Kuchipudi from Andhra Pradesh, Mohiniattam from Kerala, Kathak from the Northern regions of India, Oddisi from Odisha and Manipuri from Manipur. Highly articulate, extremely technical and intrinsic footwork all add up to make all these classical dances a feast for the eyes. If you are really interested in taking up dance as a career, you need to first decide what kind of dance you are talented in. If it is any of the classical dance forms it is best you join some full time dance institution like Kalakashetra in Chennai or other such dance academies which combine both academic education and dance education but the focus is on dance education. At the end of the term you will be academically qualified besides being a dancer par excellence. 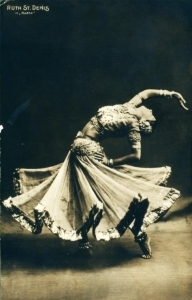 Dancing today is far more respected, understood and appreciated than what it was about two generations ago. The new generation is really fortunate to be able to make dancing a career considering the vast opportunities that is open to them to help them survive. Earlier it was not the case, as job opportunities were fewer and they were usually given away for those who ere highly qualified. Today with minimum qualifications you can take up different types of jobs to survive and at the same time pursue a career in dancing to satisfy the passion that you have for the art.